I picked up an Amati Grand Banks 46 while visiting Germany a couple years ago, when I stopped by the headquarters of Krick, a bit south of Frankfurt. 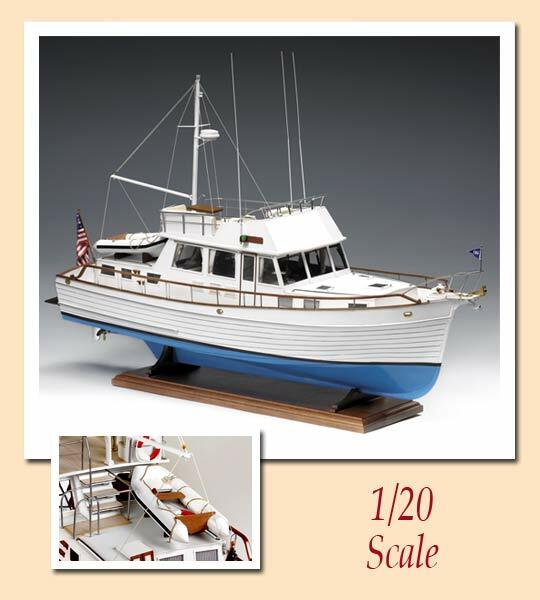 I had been lusting after the kit for some time… it had been imported to the USA by Model Slipways, but that arrangement ended. No matter, I got a better deal by hauling it back home from Europe myself. Another Road / Display Case! 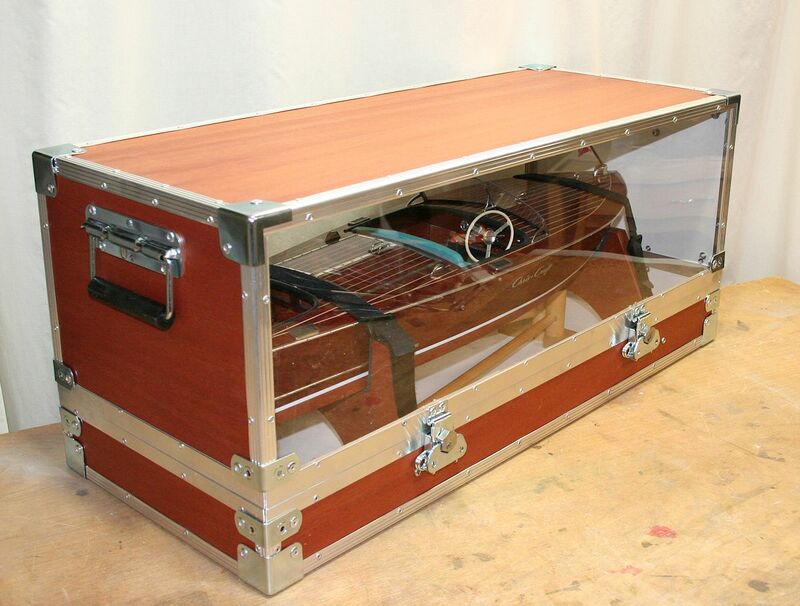 Here is another combo road case/display case… one box to travel with, one box to display the model and keep the dust off, all lumped together. Hardware is from Reliable Hardware, and includes all the aluminum extrusions, corners, latches, and handles. Panels are 1/8″ dry-erase marker board… basically, pressboard with a shiny white coating on one side, which makes for a bright interior. The outer sides are covered in mahogany veneer, complementing the model. 0.080″ clear acrylic on both sides makes for a nice see-through effect. The model’s table-top cradle has a home on the case’s floor, while the case’s own cradles are screwed to the case. Padding is 1/4″ mouse pad. 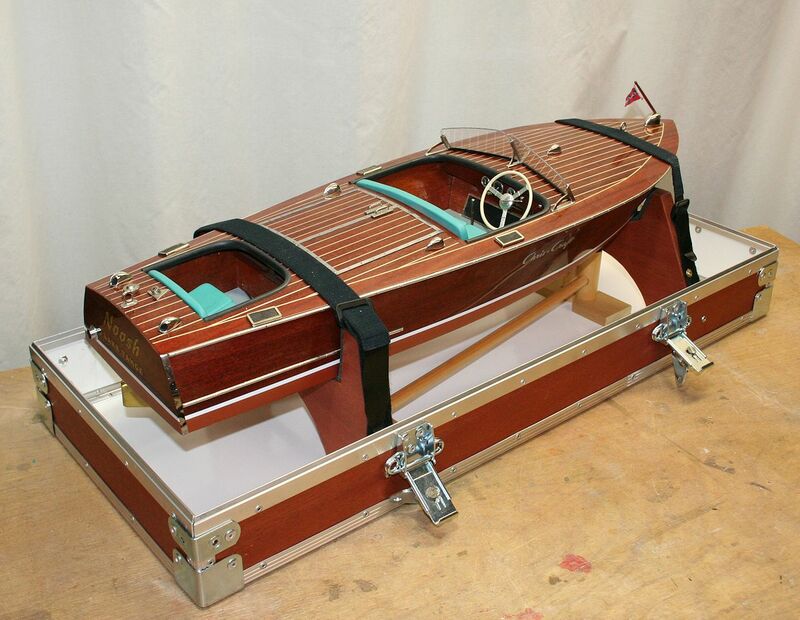 This material can be easily cut, the rubber is easily glued to the wood cradle, and the fabric covering is a friendly surface for the boat’s delicate bottom. Padded elastic straps are secured with Velcro.